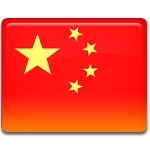 The People's Republic of China was founded on October 1, 1949. A solemn ceremony took place at Tiananmen Square, the square in the center of Beijing. On December 2, 1949 the day of foundation of China was proclaimed to be National Day and festive events were organized annually to mark this day. National Day opens the Golden Week, that lasts for seven days. Three non-working days are united with working days, and people enjoy a week-long holiday. Every day various activities and events are organized. Public places are decorated in a festive theme, concerts are free for everyone and night firework show lights the sky. The portraits of revered national leaders are publicly displayed. Previously military parades were organized to celebrate National Day in China. Nowadays the parades are not organized any more. National Day is celebrated throughout mainland China, Hong Kong and Macau.